The days where social media was seen as merely an add-on or “nice to have,” rather than a key part of a brand’s digital marketing efforts, have more or less vanished. Still, many companies struggle to move away from ad-hoc posting and toward an integrated social media strategy that supports their business objectives. Time, resources, priorities… these are just a few challenges in the way of brands developing a social media strategy that aligns with their goals. In fact, 50% of businesses admit to not having a strategy, according to a 2018 report. Let’s start off with the often-overlooked first step: the audit. The premise of an audit is simple: you can’t form an effective strategy without first taking a look back at your historical performance. 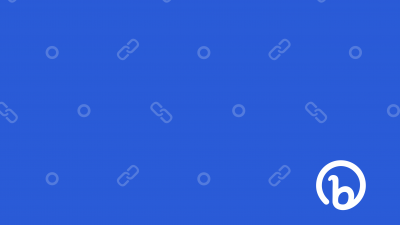 A successful audit will tell you who your audience is, what type of content they like (and don’t like), and how active your brand has been across its channels. You’ll need to source this information for every channel your company owns. Take note of the data that sticks out to you. Are you surprised at how many times a video of your CEO speaking at a conference was viewed? Maybe you weren’t aware of how young your audience is, or that a large number of your followers is from a certain country. All of this information will come in handy when you start defining what you want to use social media for moving forward. Once you’ve conducted your social media audit, you should have a better understanding of what your brand is doing well and where it can improve. Now’s the time to start mapping out your goals. Start with considering the top things your team aims to accomplish in the year ahead and how you can use social to support them. Maybe your team’s focus is on driving awareness, reducing churn, and increasing sales. If that’s the case, you may want to consider goals like: increasing customer engagement on social by X%, generating X number of leads, and driving X% of traffic to the company website. Don’t feel you have to set your entire strategy for the year ahead. You can start with a few focused goals then add more to the mix once you’ve gained momentum. Checking in with your creative support is critical at this stage. It’s easy to dream up new series ideas and plan to ramp up your posting frequency, but the reality is you’re constrained by the resources available to you. Chat with your design and content teams to understand their capacity for supporting social media. Walk them through the goals you’ve established and how they support the broader company objectives so everyone is on the same page, then agree to a process on deliverables. If you’re flying solo, there are plenty of free tools to help you create engaging social media graphics. No strategy is complete without having a firm handle on how to tactically execute it. This is where the results of your content audit really come into play. If the audit revealed, for example, that your Instagram followers engaged most with posts about your brand’s products, you might want to consider using that platform to introduce a new product or line. 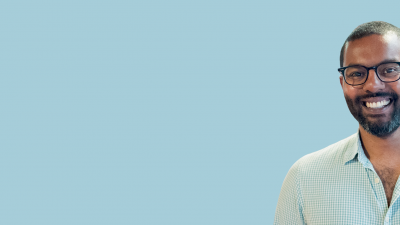 Sustainable clothing retailer Everlane does this really well. 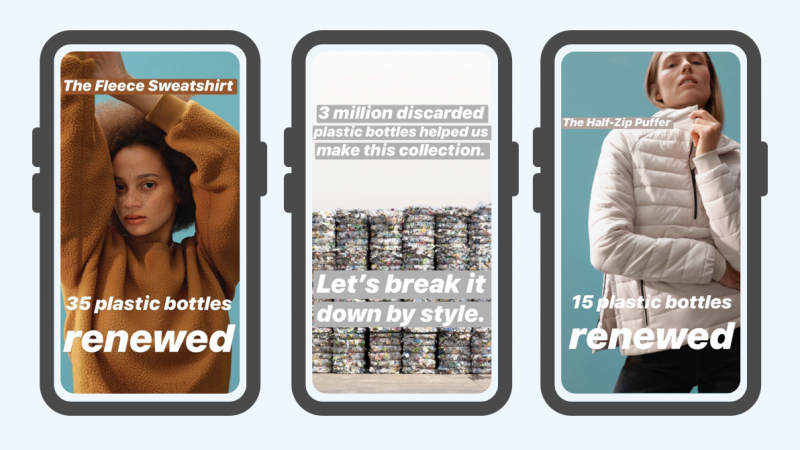 They used Instagram Stories to tease out the launch of their line “ReNew.” It was a simple campaign that worked. Why? 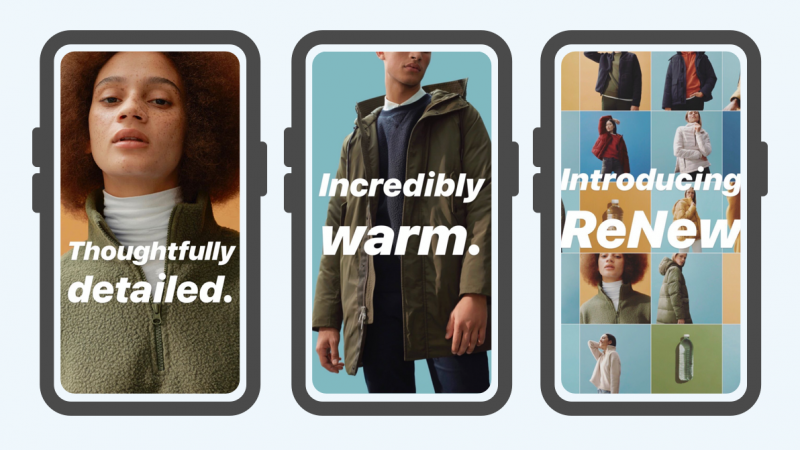 It gave their followers what they wanted: a preview of their lastest line. Plus, they tied the launch to the brand’s mission to be a leader in sustainable fashion. Very straightforward, very on-brand. Let’s say you’ve identified that one of your goals for Facebook is to use the platform to establish your company as a thought leader in its space. A tactic you might use to meet that goal is to publish a monthly Q&A series featuring employees in your organization discussing topics pertinent to your industry. Tactics are the “how” of the social media strategy. They should tie to at least one of your social media goals (but ideally multiple), be realistic (not aspirational), and should set your social media strategy into motion. In order to optimize your strategy and get real value out of your efforts we recommend you use a social media management tool and link management platform. Since engagement is an important measure of just about every brand’s success on social media, tracking click data is incredibly useful. 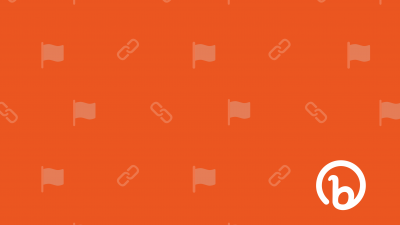 Many marketing teams (including Bitly’s!) 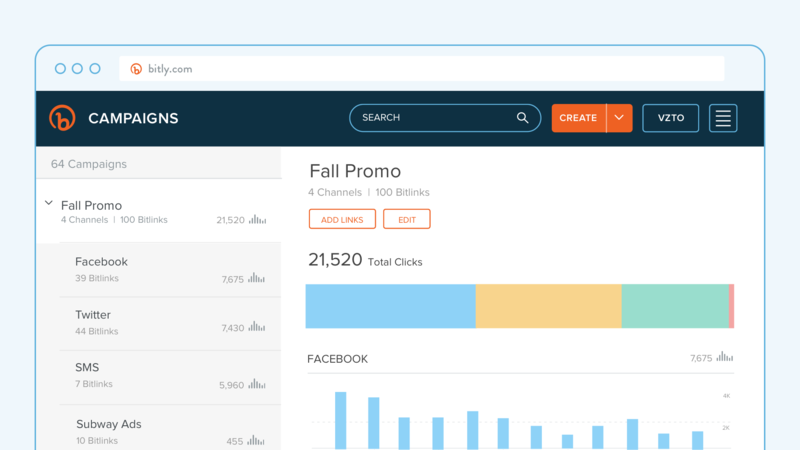 use Bitly Campaigns to measure cross-channel campaigns in real-time. It gives you insight into how your content is performing across your social channels so you know where to scale back and double-down on your efforts. 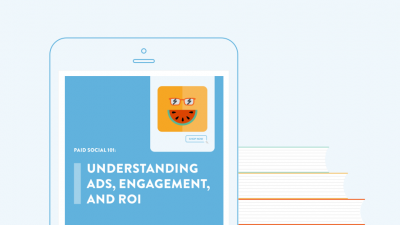 Top tip: Bitly integrates with Sprout Social, CoSchedule, and Buffer! Being able to schedule your posts in advance and preview them before they go live is incredibly helpful in keeping a regular posting schedule. Plus, it gives you more control over when you can post and reduces the stress of having to fit posting into your day. We highly recommend using your social media management tool’s reporting and analytics capabilities in addition to your channels’ native tools. It’ll give you a fuller picture of your posting performance and be able to make more informed decisions. Many management tools allow you to monitor hashtags, keywords, mentions, and even measure brand sentiment. Social listening helps you know what conversations are happening about your brand and its competitors. For many, a social media strategy is all about getting your ducks in a row before you start posting. But how do you handle inquiries that come in through your brand’s social channels? What about complaints? A PR issue? Assign an owner to each of these categories. The same person may cover several of them, if not all, but be sure to discuss this process with stakeholders and address any open questions. You’ve done your audit, established your goals and tactics, chosen your tools, and established your response guidelines. Now how do you prioritize all of the work that needs to get done? Remember: You can’t do everything all at once. A focused, prioritized plan will help you be more efficient and effective. What’s most critical to your company’s mission? Are there any important deadlines or milestones that are right around the corner? Identify where the most immediate needs are, as well as what aspects of your plan will be crucial to laying the foundation of your brand’s social media presence. There may not always be a right answer, in which case you’ll have to settle for a trade-off. In those cases, choose one or two goals to focus on first, and set some time aside on your calendar in a few weeks to revisit your other ideas once you’ve made some progress. To help keep yourself and your team accountable, and make sure things move forward, it’s crucial that all of your tasks are recorded, assigned to a team member, and given a due date. This process of sorting out who is responsible for what and how long they have to do it will also help identify where you need to refine your strategy. For example, you may find you have to build in more wiggle room around deadlines, or that you’ve overlooked some tasks related to a project. With regular check-ins, you and your team can navigate these adjustments and continue to strengthen your overall plan. And finally, everything you’ve done up to this point has been in service of meeting your social media marketing goals and supporting your team and business. That’s why it’s critical to regularly measure the performance of your efforts and determine what’s driving social media ROI and what’s not. Social moves quickly. Some things will work as you’d hoped (or better), and some things will fall short. Your job is to try to understand why, so you can adjust your plans moving forward. With a strong social media strategy, you and your team will be able to navigate this process in a more effective—and less painful—way. Get expert tips on how to create and optimize your social media campaigns.